After 90 mostly scrappy minutes, Sutherland Sharks came away with the Championship, completing the Double. A lucky goal for Toufic Alameddine and a well guided header from Patrick Savor was enough to give Sharks the win over Manly United, whose goal was scored by William Pritchard. The Premiers Sutherland Sharks qualified by beating Manly United in the Grand Final Qualifier a fortnight ago, that match going into extra time. This match never threatened the same drama though, despite the quality players on show. The match started slowly as both sides felt their way into the match with only speculative efforts from Dominic Ferguson and Savor to note inside the first 15′ minutes. In keeping with the match’s scrappy start, it was a fortunate ricochet that gave Sutherland Sharks a 23′ minute opener. A Manly United clearance cannoned into Alameddine, the ball looping goalwards and over Tonu Liiband to give Sutherland the lead. Neither Liiband nor Marko Bozic were greatly tested, save for a free kick from Nathan Simm that forced Bozic to demonstrate safe hands under pressure. There was precious little goalmouth action until the very final minute of the half, when Manly United scored a precious equaliser. A ball in from the left was flicked on by Jack Green into the path of William Pritchard who showed his deftness and eye for goal, touching the ball past Bozic. It was a beautifully sunny day at Bonnyrigg Sports Centre, the weather befitting of the NSW Premier League’s showpiece occasion and with the pitch in resplendent condition, inexperience was the only real excuse for the paucity of quality in the final third. Nicholas Olsen showed some attacking intent in the opening minute of the second half, jinking past three Manly United defenders before finding Patrick Savor with an intricate reverse pass, unfortunately for Sutherland Sharks Savor was offside. Manly United’s top scorer Michael McGinley had had a quiet match thus far, but he popped up in the area in the 55′ minute, lashing a volley well over the bar. He really should have hit the target and it was a valuable opportunity in a match where chances were scarce. Olsen popped up again moments later, lashing a sweet left footed shot very narrowly wide of Liiband’s goal. Sutherland Sharks were beginning to exert some authority and they began to control the match in the centre of the park, not allowing Manly United the time or space to create any chances of note. A searching pass from Savor found Christopher Naumoff on the right hand side, but the youngster lacked composure as he lobbed the ball well over the ball. The Grade 20 Player of the Year had struggled to have any decisive impact on the match. Sutherland Sharks were continuing to build pressure and it paid off in the 61′ minute when Savor gave them a match-winning lead. It was a goal of intricate construction as the Sutherland captain Jacob Bandur sent in a dipping cross from the left that was headed back across goal by Todd Halloran. Savor was composed, heading in at the front post, showing good awareness to keep the ball from ballooning over the bar. It was the goal that the second half needed, as it prompted Manly United to take a more proactive approach to the match, but they were halted by giving away some cheap free kicks a little too often. Case in point was in the 68′ minute, when Jamie Craig was booked for his troubles. Naumoff sent the resulting free kick narrowly over, but Liiband had it covered. Manly coach Nigel Mahoney sent on Michael Willis and Max Bogunovic in an attempt to shake up the game. His side looked like they’d equalised in the 88′ minute when Willis headed in a free kick at the back post, but the linesman’s flag was raised for offside, ruling the “goal” out. Despite a few desperate late set pieces, Sutherland defended well under late pressure and were able to come away with a Championship win to go with their Premiership triumph. Veteran Sutherland Sharks coach Jim McMillan said, “The boys worked hard all year. “They played some good football and got the rewards for their efforts. “I thought the game today was a bit scrappy but that can happen in finals, but I also thought we controlled a lot of the game and in the end we just about deserved the win,” he added. McMIllan’s other half of the coaching partnership, Rod Eames, echoed his sentiments. “I thought today was what you’d expect from a final,” he said. “We weren’t great first half but I thought we controlled the game in the second. “It was a good result for us and I think overall we deserved it, both on the balance of play and the season overall. “I’d like to congratulate Manly United, they pushed us all the way. “I want to give credit to our boys for a great season – hopefully some of them will get picked up by A-League youth teams,” he added. Parramatta appeared to be in control at the interval after Jordan Parfait and Jaushua Sotirio cancelled out Jayden Priest?s early opener. Sam Perre led Blacktown?s second half revival as his set pieces created all three second half goals; Daniel Araujo levelled from Perre?s corner before Priest and Daniel Collins headed home crossed free kicks to wrap up with win for Tony Candy?s squad. Parramatta appeared the more comfortable from kick off as they pressed Blacktown in the opening minutes. An early Daniel Holz corner was narrowly missed by the head of Alexander Kelly before Holz was denied by a crucial intervention from Collins. Having staved off early pressure Blacktown hit the lead with their first clear chance of the match as Araujo picked out Priest with an inch perfect cross; the Blacktown target man beat his marker in the air to head the ball inside the near post to open the scoring. Priest came close to doubling his tally minutes later as he ran onto Tom Mallatt?s well weighted throughball, however Jair Fernandez was quick off his line to spread his frame and make a confident block. Fernandez was called into action once again soon after as he was forced to tip Perre?s cross over his crossbar before denying Priest with another vital save midway through the first half. Blacktown threatened from range once again around the half hour mark as Bruno Antelmi?s smartly taken corner was fired goalward from 25-yards by Perre, however Fernandez was well positioned to hold the long range effort. Parramatta settled down around the half hour mark and began to create chances for themselves as Daniel Moffett saw his 30-yard effort held by Mitchell Seager. Devante Clut?s free kick found Sotirio via Kelly?s head; the header lacked conviction and was easily gathered by Hernandez, yet the warning signs were there before Parramatta hit the lead via a quickfire double. Ryan Peterson?s last man challenge deflected off Sotirio and fell to Jordan Parfait; the winger produced an opportunistically clinical finish as he drove his first time effort low and inside the far post to level the scores. The Parramatta fans had barely retaken their seats before they were brought to their feet once again as their side hit the lead. Still shell-shocked from the equaliser, the Blacktown defence allowed Raffael Moniaci the space to break down the right flank and get a shot off on goal; Seager was able to block the shot yet Parfait was in the right place at the right time to tuck home the rebound and grab his side the lead. It was just the response Parramatta coach Jakob Tielman was looking for from his side as they controlled the run of play to hold their lead going into the interval. The break appeared to benefit Blacktown as they emerged from the sheds with renewed confidence following Tony Candy?s half time team talk. Peterson headed over seconds after the restart while Parramatta Kelly?s made a fine last man challenge to deny Ray Coletta a route to goal. Blacktown soon reaped the rewards of their new found attacking confidence as they grabbed a deserved equaliser from the set piece. Perre?s corner was flicked on at the near post by Don Dileo; Araujo was first to react as he turned to ball past Fernandez to level the scores. Blacktown came agonisingly close to grabbing the lead soon after when Coletta?s goalbound effort from Perre?s corner was deflected narrowly over by substitute defender Gianluigi Truglio. Dileo showed a great turn of pace to burst clear of Kelly and find his way through on goal; however the ball took a bobble off the pitch as he lined up his finish, forcing him to mishit his finish which skewed well wide of goal. Blacktown were handed a golden opportunity midway through the second period as Perre lined up a free kick from 25-yards and the youngsters took full advantage as Priest managed to get his head onto Perre?s delivery to deflect the ball past Fernandez to put his side into the lead. Parramatta rallied in search of a route back into the match yet were undone from the set piece once again late on; another marvellous ball from Perre found Collins unmarked in the box and the Blacktown captain took full advantage as he headed home to secure the win. Tempers temporarily flared late on as Perre and Clut clashed near the sideline before referee Daniel Stack intervened to diffuse the situation before suitably booking the pair for their outbursts. Blacktown comfortably saw out the closing stages of the match and could have extended their lead as Priest skipped past James Do only to be denied the opportunity for a hattrick by a crunching last ditch challenge by Trugilo. It was a hard earned win by Tony Candy?s side as they showed great resilience to battle back from behind to claim the title after Parramatta appeared to have taken the initiative in the first half. Yellow Cards: Sam Perre 79? Yellow Cards: Dylan Holz 42?, Devante Clut 79? For Bonnyrigg, despite the home ground advantage and the most boisterous supporters at the venue, the White Eagles were left frustrated after 90? minutes of football where Brian Brown?s men did create goal scoring chances. It was an unchanged Stallions lineup following the Preliminary Final defeat of Blacktown City FC last weekend, meanwhile the White Eagles were forced to make two changes to its starting lineup since its last outing against the Stallions. Goalkeeper Andrew Bazi replaced the injured Nikodin Matic, meanwhile the suspended Tynan Diaz gave the energetic Ken Chun a start. In only the opening minute of the match, the Stallions? players, staff and supporters were in angst as they awaited Ali Haydar ? one of the grand final?s best performers ? to get back to his feet. The defender appeared to have injured his knee in an early challenge, though he was back on his feet following a short pause. The Stallions carved out the first real opening of the afternoon on 4? minutes. Jamie McMaster collected a Nahuel Arrarte set-piece on the edge of the penalty-area before turning his marker and driving a half-volleyed effort wide of Bazi?s goal. Bonnyrigg?s response arrived 2? minutes later via the feet of Aleksander Canak. The speedy attacking midfielder cleverly skipped past his marker to create a yard of space on the right before his delivery into the path of Ken Chun was cleared away to safety. 2012 top goal scorer Robbie Younis had the crowd on its feet in the 9? minute as he lined up a free-kick from the edge of the penalty-area. The Bonnyrigg number 9 delivered a powerful attempt on goal, though his effort only just failed to dip enough to trouble James Chronopoulos. On 21? minutes, Harris Gaitatzis tried his luck from distance with a swerving effort that failed to trouble Chronopoulous. Gaitatzis? movement was exceptional, as was his vision, though the final delivery failed to hit the target. Bonnyrigg went close to opening the scoring on 25? minutes as Younis cleverly turned his marker to create the space he needed to shoot on goal; the striker?s effort appeared to have Chronopoulos beaten though only just finished wide of goal. Bonnyrigg?s positive passage of play continued, and in the 31? minute all present at the venue thought the side had found the breakthrough. A set-piece delivery from the edge of the penalty-area ricocheted off the Stallions? wall only as far as Younis who blasted a first-time volleyed attempt on goal. With the ball seemingly destined to finish inside Chronopoulos? left-hand post, the shot-stopper made a world class diving save, diverting the ball behind for a corner to keep the score level. Bonnyrigg seemingly had a hold on midfield with Aleksander Canak a constant menace for the Stallions defence. Despite the possessional dominance however, it was Marconi that created a big opportunity to find a goal shortly after. The Stallions won a free-kick on the edge of the penalty-area in the 38? minute, and just as it seemed the side could find an opener, the White Eagles defenders stood tall. The Stallions? practiced routine was well read by the Bonnyrigg wall, and the chance went begging without a shot even executed on goal. McMaster did go close for the Stallions on 45? minutes when he picked up a loose ball on the edge of the penalty-area. The attacking midfielder, who was clearly off balance, struck his attempt on goal from a central position, though Bazi was well positioned to make the save and ensure both sides would go in at the break at 0-0. Following the half-time interval, Mitchell Long had the Bonnyrigg supporters on their feet inside the first 60?? seconds. Long used his pace, after playing a neat one-two with Gaitatzis, to run by his marker to create an opening. The Bonnyrigg number 23 could sniff an opening and he blasted a powerful effort inches wide of Chronopoulos? left-hand post. On 55? minutes, Chronopoulos was graced by the referee when he made contact with Younis. The shot-stopper went one-on-one with the striker and what appeared to be a routine claim for Chronopoulos saw Younis anticipate the goalkeeper with his head. Younis? attempt to run around the goalkeeper was brought to an end after the two made contact, though the referee quickly blew for a foul on the shot-stopper instead. Marconi responded with Nathan Elasi at the other end. The speedy winger tried his luck from the left with a placed effort, aimed for the bottom right-hand corner, however his shot finished wide of the post. Elasi?s pace continued to trouble the White Eagles defenders with a neat counterattack on 59? minutes. The attacking midfielder had the defence stretched, though his square ball into the path of Jamie McMaster gave the retreating Bonnyrigg players the time to regroup and thwart the attempt. Defender Umut Tokdogan followed up for Marconi with a shot from distance moments later. The defender picked up a loose ball on the halfway line and made his way into some space before drilling an effort directly at Bazi. Bonnyrigg attempted to limit the Stallions positive passage of play with a swift counterattack of its own. Long played a neat lay-off into the path of Canak however the attacking midfielder blasted well over the crossbar from a promising position. The missed chance proved costly as Marconi found the go-ahead goal down the other end. Elasi found the breakthrough for Marconi following a fine switch of play from the right. The Stallions number 11 was lethal with his diagonal effort across the face of goal, driven hard and low and leaving Bazi routed to the spot. Bonnyrigg responded immediately with the home supporters behind them. Chris Tadrosse?s delivery from the right found Long at the back post ? the playmaker saw his header cleared off the line by Haydar. A goalmouth scramble followed as the Stallions defenders cleared the lines with some desperate defending. On 72? minutes, Canak capitalised on some poor defending as he chased a through ball over the Stallions defence. With Chronopoulos beckoning, and under immense pressure from Christopher Nunes, Canak attempted to scoop the ball over the shot-stopper, only just sending the ball wide of goal. The Stallions? mammoth task of holding onto the one-goal lead took a turn for the worse on 74? minutes as Andrew Mailer was given his second yellow card of the afternoon for a deliberate handball. The pressure on the Stallions was telling as McMaster was next in the referee?s book ? 1? minute later ? for a very poorly timed challenge as the White Eagles pressed desperately for an equaliser. The Stallions were forced to defend deep in the closing stages with Bonnyrigg throwing everything in search of an equaliser, and 5? minutes from time, Chronopoulos used all his experience to come off his line and safely punch away a Tadrosse corner. The left-footer?s in-swinging delivery carried a real punch, though the shot-stopper was unyielding despite the pressure of three Bonnyrigg strikers. Gaitatzis was next to pepper Chronopoulos? goal with an attempt. The attacking midfielder was rushed into a shot on the edge of the penalty-area, slicing his effort wide of the mark in the process. On 90? minutes, substitute Damien Travis nearly put the result beyond doubt for the Stallions. The right sided midfielder covered the width of the pitch to get onto the opposite wing before cutting the ball back onto his right foot and blasting over the crossbar. With 5? minutes of injury-time allocated by the fourth official, Marconi did find the second goal to put the result out of Bonnyrigg?s reach. Elasi sealed the deal for the Stallions in the 4? minute of injury-time, as the Bonnyrigg players pressed for an equaliser. Marconi caught the White Eagles? defence out as Elasi was sent one-on-one with Bazi before coolly slotting home. Scenes of jubilation followed as the Marconi players and supporters went into a frenzy as the club put aside the disappointment of losing the 2009 grand-final against Sutherland Sharks. ?I am very happy with what we have achieved today, the boys really put in a great effort,? expressed Casserly. ?Bonnyrigg have been the standout side this season, they have been brilliant and they have dominated us, even though I thought we were a little unlucky a few weeks ago when we went down to them. ?I think the past few weeks the major difference has been that we have had most of our players back from injury and most players available for selection. This has given us the confidence and belief that was needed to approach this match with the correct mentality.? ?I was involved in the side that won the title in the NSL in 1992-1993 and that was tremendous, and to now do it as a coach is just as special. ?I know how passionate everyone is at this football club and for the club to have gone so long without a League win, and to finally get it today is just tremendous.? Casserly continued: ?Winning this title today is also special for me for another reason. A really good friend of mine, a Marconi Legend, passed away and he was pretty much my football mentor ? Ian Gray. ?He is no longer here today, though walking into the ground before the match I could feel that he was present and I think he played a big part in the win today.? ?This season is my last season coaching at the club, work and family commitments are really big as there is a lot of time that goes into the season. I haven?t been at home a lot and I haven?t been able to see much of my son play football this season either. ?Hopefully I do get the chance again in the future, I do really enjoy the challenge, though I guess this was a pretty good way to finish with a win,? concluded Casserly. Bonnyrigg White Eagles coach Brian Brown was bitterly disappointed with the loss, though extremely pleased with the season his side has had in 2012. ?It has been a long time since I have won a grand-final, though I think today our opponent played a very good match. ?Cliff (Cliff Pointer) and I are extremely happy with the efforts of the boys this season and of course with winning the Premiership, especially following the disappointing 2011 we had last season.? ?I think the loss today will drive us forward. ?We have already started planning for next season. We are planning when we will get the boys in for pre-season training to prepare for 2013, and we will set some goals to achieve for next season.? ?The double is our target and I think we have proved this season that it is something we can achieve. ?At the start of pre-season for next season, the double will be our goal,? Brown ended. Yellow Cards: Mitchell Long 13?, Aleksander Canak 60?, Ben Spruce 84? Yellow Cards: Andrew Mailer 10?, Ali Haydar 30?, Christopher Nunes 35?, Nahuel Arrarte 45?+2?, Andrew Mailer 74?, Jamie McMaster 75? Red Cards: Andrew Mailer 74? 20.Andrew Bazi ? 6 ? Bazi?s defence gave him a quiet first half and the keeper was comfortable in the air when called upon. Bazi was lucky to see an aimless second half clearance go unpunished by Elasi yet there was little he could do to deny Elasi a second half double. 2.Alex Mansueto ? 7 ? Mansueto v Elasi was always going to be an intriguing tussle and the Bonnyrigg defender appeared to be on top of his task in the first half. Mansueto?s tight marking kept his opponent at bay until Elasi finally found a yard of space in the second half to score the crucial goal. Mansueto was replaced by Stanojevic on 70? minutes. 5.Chris Tadrosse ? 8 ? Cool, calm, and collected in both defence and occasional attacking duties, Tadrosse had a fine game on the left side of defence. The Bonnyrigg captain has had a stellar season and was unfortunate not to be on a winning side today after an impressive performance. 6.Nikola Zonjic ? 8 ? Zonjic was handed the difficult task of handling Joey Gibbs and his performance was always going to play a pivotal role in today?s result. The defender did well to keep the striker quiet throughout the game. 8.Alex Canak ? 7 ? Alex?s vision and passing was a joy to behold throughout the match. Tokdogan handed the midfielder a golden opportunity in the second half and Canak was unfortunate to see his effort drop wide. 9.Robbie Younis ? 7 ? Always a handful in attack, the NSW Premier League Golden Boot winner was always a threat and was denied a certain first half goal by a spectacular Chronopoulos save. 11.Ben Spruce ? 7 ? Spruce appeared comfortable at the back in the first half as he an Zonjic kept Marconi at bay. Was twice left exposed in the second half and twice punished by Elasi. 18.Adrian Ucchino ? 6 ? Had an uncharacteristically quiet performance today after an impressive season. 19.Harris Gaitatzis ? 6 ? Gaitatzis utilised his pace to create space for himself throughout the match yet could not cap his efforts off with quality service into the box. 21.Ken Chun ? 6 ? Chun quietly went about his business throughout the match and did not put a foot out of line until he was replaced by Payne after 70? minutes. 23.Mitchell Long ? 7 ? Booked in the opening quarter hour for a rough challenge, Long went on to have a typically industrious game. His vision and movement created a lot of space for his team and Long was unfortunate to see his goal bound header blocked on the line by Haydar. 15.Chris Payne ? 5 ? Payne was handed the chance to help get his side back in the match on 70? minutes when he replaced Chun yet his side failed to find a route to goal. 13.Nikola Stanojevic ? 6 ? Came on for Mansueto with his side trailing 1-0 and could do little more for his side than ensure they did not concede a second goal. 17.Jordan Crighton ? N/A ? Did not feature. 16.Andres Gomez ? N/A ? Did not feature. 44.Vincent Veneri ? N/A ? Did not feature. 22.James Chronopoulos ? 8 ? The Marconi keeper produced a solid performance between the sticks which was kick started by a tremendous save to deny Younis in the first half. Chronopoulos was dominant in the air and played a crucial role in today?s victory. 2.Andrew Mailer ? 4 ? Was cautioned in the opening minutes for an unnecessarily overzealous challenge which allowed Bonnyrigg to heap pressure on him. There was little surprise when Mailer was saw red for his second bookable offence which left his side to battle it out a player short for the final quarter hour. 3.Ali Haydar ? 9 ? Recovered from an early injury scare to play a fine game in the heart of defence. Dealing with the threat of Younis was always going to be a challenge and Haydar did exceptionally well to limit the striker?s opportunities. Haydar also made a crucial second half block to clear Long?s finish off the line. 4.Umut Tokdogan ? 7 ? Haydar?s partner in defence also put in a solid display and put his body on the line time and time again to keep his side in the lead. Tokdogan?s performance was slightly blemished by a missed interception in the second half, yet Canak?s miss let the defender off the hook. 6.Shane Webb ? 7 ? Worked tirelessly in midfield and played his part in both attack and defence. Webb had a fine game. 7.Sean O?Connell ? 6 ? O?Connell ran his socks off in midfield today and did all that was required of him to get his side over the line. 10.Joey Gibbs ? 7 ? Gibbs kept the Bonnyrigg backline busy throughout the match and was afforded little space by his markers, giving the striker little chance to get on the scoresheet. Gibbs did however hold up the ball well to bring his midfield into the game before coming off for Shevlin late in the second half. 11.Nathan Elasi ? 9 ? Elasi was kept quiet by Mansueto in the first half before coming into his own in the second period. The Marconi winger has caused havoc with recent form and there was little surprise that he brought the goods today with two clinical finishes to get his side over the line. Elasi received a well-earned standing ovation from the Marconi fans when substituted in added time and was duly awarded Man of the Match for his efforts today. 18.Jamie McMaster ? 6 ? McMaster?s attacking movement created a lot of space throughout the match yet his first half finishing lacked the conviction we have come to expect from the experienced midfielder. McMaster had a decent run before he was substituted for Damien Travis in the final quarter hour. 23.Christopher Nunes ? 7 ? Armed with explosive pace, Nunes was a continual threat in attack yet was caught out of position in defence. When he held his position well Nunes appeared unbeatable in any one-on-one position. 26.Nahuel Arrarte ? 8 ? The Marconi captain was useful in attack, helpful in defence, and an inspirational force for his side today. His leadership has been an integral part of their 2012 campaign and Arrarte will relish today?s win for years to come. 9.Keith Shevlin ? 5 ? Replaced Joey Gibbs on 82? minutes and had little time to make an impact on the final result. 15.Wade Oostendorp ? N/A ? Did not feature. 19.Damian Travis ? 6 ? Came on for McMaster for the final quarter hour and did well to help preserve his side?s lead. 42.Brendan Cholakian ? 5 ? Cholokian was subbed on for Elasi in injury time and had around seven seconds on the pitch before the final whistle. 50.Hamish McLean ? N/A ? Did not feature. The 22-year-old former Melbourne Victory and Australian youth international was in scintillating form as he bagged a brace in what was a monumental victory for the Marconi Stallions Football club. Elasi praised his teammates on what was a memorable afternoon for the Stallions faithful. ?Obviously the elation of having won the Championship hasn?t sunk in yet as well as getting the ?Robbie Slater Medal? but it was all done to the hard work and efforts of our team and the coaching staff. ?We are played as one today and this showed on the pitch.? Elasi, who has not given up on chasing that elusive Hyundai A-League contact once more, stated that scoring both goals against his former club made that victory that much sweeter. ?As a footballer these things always drive you to go one step further in playing as best as you can and that?s what I wanted to do today. ?Credit to the White Eagles they had a fantastic season this year but huge credit to our boys who stuck by and got the result we wanted and that Grand Final trophy.? The ?Robbie Slater Man of the Match? award was instigated to honour the tough tackling midfielder as he spent his early years developing as a footballer in NSW before trekking off overseas to forge a successful footballing career abroad. Bonnyrigg Sports Centre is the venue for a match that promises goals ? there have been 17 of them in the three matches between the two sides this season. Manly United defeated Sutherland 4-2 at Seymour Shaw Park early in the season, but the Sharks got their revenge, thrashing Manly 5-0 at Cromer Park later in the year.  The two clashed in the Grand Final qualifier a fortnight ago, a match that saw Sutherland take a 2-0 lead before being pegged back, a Manly goal in injury time of the second half sending the match to extra time. Sutherland scored twice in the extra period to seal their place in the Grand Final, but it was a warning of the ability that Manly United possess. The Northern Beaches side had to endure extra time and a penalty shootout last weekend against Blacktown Spartans in order to qualify. They could well have been knocked out had Andre Carle scored with an open goal in front of him with the last kick of extra time, but his miss sent the game to a shootout where Manly?s keeper Tonu Liiband saved the final penalty to send his side through. Both sides possess huge quality in attack, which will make for an exciting game. Sutherland Sharks? Christopher Naumoff, Nick Olsen and Ben Cornish have been pivotal to their campaign, whilst Manly United?s Michael McGinley has been unstoppable in front of goal, ably assisted by his striker partner, William Pritchard. It is an important day, too, for the goalkeepers. Marko Bozic and Tonu Liiband will have to be at the very top of their games if they are to see their side to Championship glory. It is also a big occasion for the coaches of both sides, Jim McMillan and Rod Eames at Sutherland and Nigel Mahoney at Manly United. This match will certainly be a fantastic game and the winner will certainly have defeated a worthy foe.